Designed for advanced users, GELID's Silent PWM fans provide additional airflow by using Pulse Width Modulation (PWM) to automatically adjust fan speed according to the CPU load. The fan can be idled down and thus be much quieter. 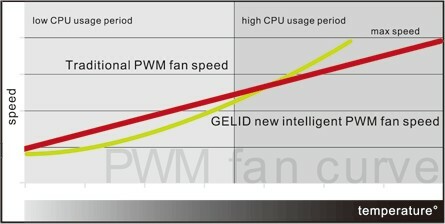 An intelligent IC has been integrated into the fan’s PCB to exploit the mainboard’s BIOS software. This technology is more efficient and convenient than using an external fan controller to adjust the fan speed. Each fan impeller has been individually balanced using the latest technology to guarantee steady, unwavering operation. 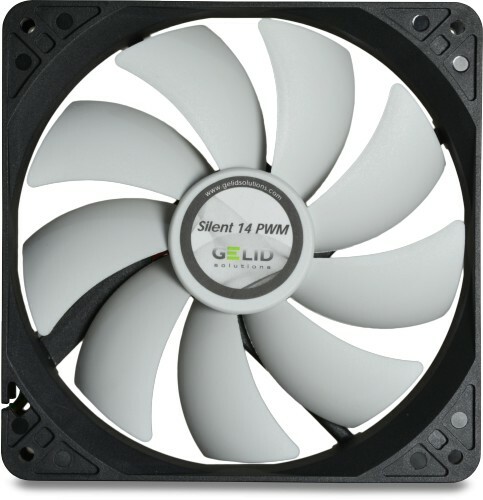 To add to the silence, fan mounts replace traditional screws and are made of high quality, temperature resistant, extra long lasting rubber to stop vibrations from the fan motor from travelling into your PC case.